PRADA presents a new range of options for the Made to Order Women’s Shoe collection, a project dedicated to giving customers the opportunity to create a unique, custom-made shoe. Eighteen models of pumps, slingbacks, ballet flats, boots and sandals with or without platforms and with eight different heel heights are available in a wide range of materials and shades. 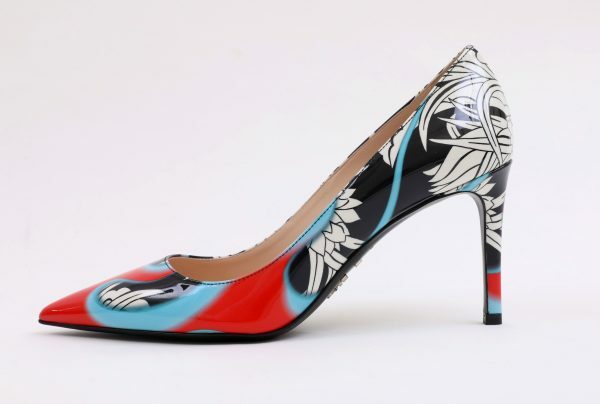 The range of iconic Prada prints on a patent leather base has been expanded, with the Lipstick, Barocco and Roses as well as the new Dahlia flames and Mermaids flames patterns: Prada’s iconic prints from various seasons are mixed for a totally new and striking result. 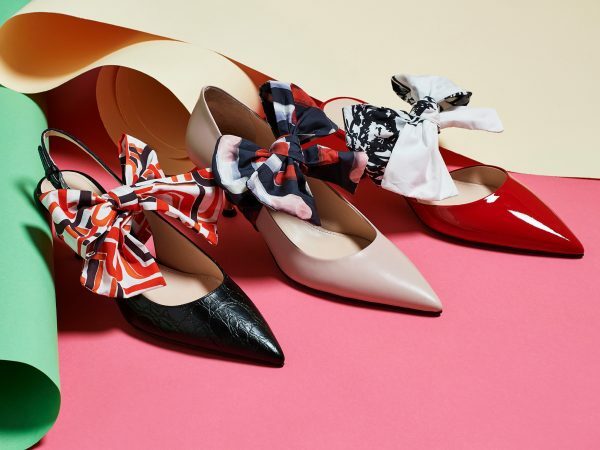 The pumps and slingbacks can now be customized with a detachable poplin bow that comes in nine different prints. After choosing the model, material and colour, customers can select the colour of the sole (black, phard or light blue) and add their initials, charms or numbers. As an alternative, it will be possible to add the same elements – but in leather – on the exclusive satin dust bag. 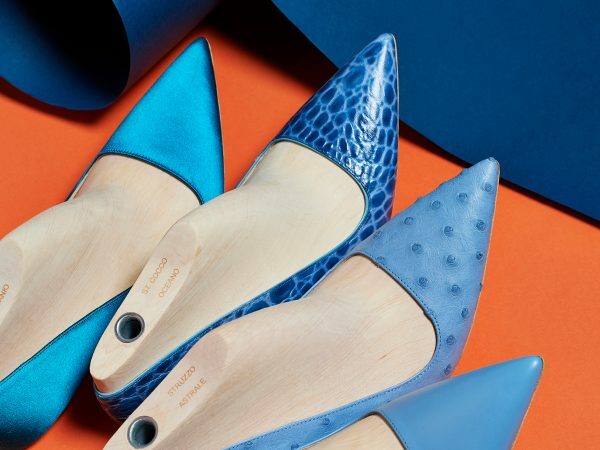 The customization continues beyond the product: the packaging for the shoes will match the style chosen so either the classic blue box embellished with an elastic band and metal plaque or one of the Prada prints. The shoes will be delivered eight weeks from order.